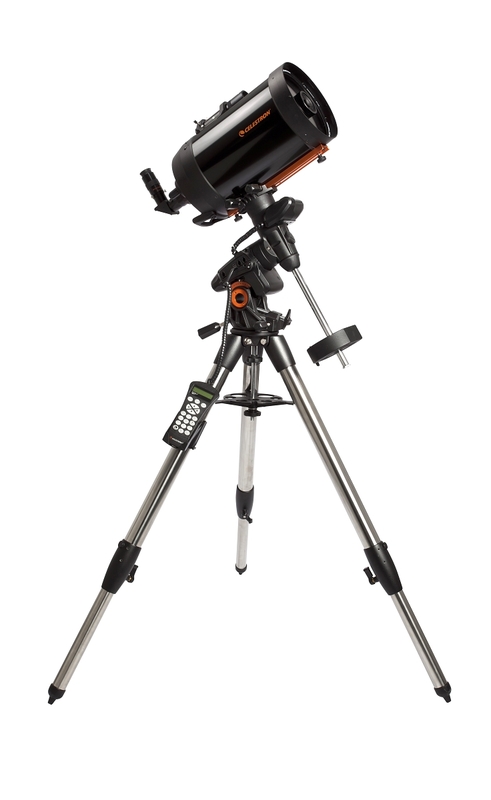 The Advanced VX 8" f/10 Schmidt-Cassegrain Telescope from Celestron is a complete astroimaging platform including a 8" Schmidt-Cassegrain (SCT) optical tube, 20mm eyepiece, Advanced VX computerized German Equatorial mount, adjustable stainless steel tripod, and NexStar hand controller. By pairing the C8-A-XLT SCT tube with their redesigned Advanced VX mount, Celestron has created an optical instrument ready for deep sky observation and image capture. The fusion of lightweight materials, compact design, and astroimaging technology equip this telescope with the portability and functionality to satisfy backyard stargazers and burgeoning astrophotographers. The SCT optical design, like other catadioptrics, utilizes a system of lenses and mirrors to produce long focal lengths with a relatively compact tube length. This configuration of the XLT SCT optical tube boasts a 2032mm focal length using a tube less than 2 ft long. In addition to the compact design, XLT SCT optical tubes are also lightweight for their size. Housing the optical system inside an aluminum tube not only minimizes flexure and helps equalize the temperature inside the tube, it also reduces excess weight, making the C-8-A-XLT a manageable 13 lbs. Celestron's StarBright XLT coating system uses multiple layers of proprietary lens and mirror coatings to optimize the light transmission of each lens and maximize the reflection of the primary and secondary mirrors. 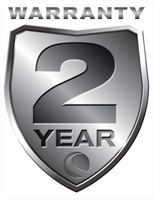 The XLT coatings were engineered specifically for astroimaging purposes, using layers of highly-reflective aluminum, SiO2 (quartz), and TiO2 (Titanium Dioxide) mirror coatings to accurately replicate the colors of the visible spectrum, as well as anti-reflective MgF2 (Magnesium Fluoride) and HfO2 (Hafnium Dioxide) lens coatings to transmit a wider band of visible wavelengths. The result is an f/10 optical system that transmits more color faithful images than Celestron's previous StarBright-coated systems. Further improving the performance of the XLT SCT optical system is a Water White glass corrector lens that is capable of up to 97% light transmission when finished with the XLT anti-reflective coatings. Celestron's Advanced VX German-Equatorial mount is an integrated telescope support, alignment and guiding system optimized for astrophotography. Celestron engineered the Advanced VX mount from the ground up to deliver the functionality and affordability required by astroimagers on a budget. This telescope mount delivers some of the features found on more sophisticated German Equatorial mounts but without the added bulk or cost associated with more robust options. The Advanced VX mount is designed to accommodate an optical tube weighting up to 30 lb, enough payload capacity for most Schmidt-Cassegrain OTAs with up to an 8" aperture. The core technology driving the Advanced VX mount is Celestron's All-Star Polar Alignment. This alignment system features a 2-Star alignment mode that uses multiple guide stars to assist tracking across the night sky while keeping the optical tube parallel to the Earth's axis of rotation. Maintaining alignment with either celestial pole while following the path of guide stars provides a high degree of pointing and tracking accuracy. Digitally-encoded low-cog DC servo motors drive telescope movements on both axes in fine increments that keep the observed (or photographed) object centered in the field of view. This level of precision reduces optical aberrations and minimizes star trails, which translates into improved image quality and sharper photographs. Complementing the Advanced VX's alignment and tracking capability is the mount's permanently programmable periodic error correction that eliminates recurring track errors inherent to all worm drives. Additionally, a 7-77° latitude range enables extended observations and photo exposures by allowing the telescope to track passed the meridian without the meridian flip common with German Equatorial mounts. Included with the Advanced VX mount is the NexStar hand controller that will slew the telescope to any planetary, stellar, or nebulous object in its pre-loaded database at the touch of a button. The NexStar controller software is flash upgradeable, which allows operating system updates and even refinements to telescope-specific functions. This computerized mount is also compatible with Celestron's proprietary NexRemote telescope control software, which enables the observer to control telescope using their personal computer. This fully-integrated telescope mounting system also includes an adjustable stainless steel tripod that has two-inch diameter legs, locking spreader, and caddy for the NexStar hand controller. The combination of digitally encoded servo motors, broad tracking latitude, and an array of sophisticated alignment and tracking technology equip the Advanced VX with the mechanical precision needed to observe and photograph any nearby or deep sky object. 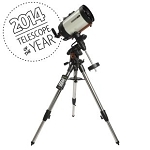 In addition to the XLT SCT optical tube, NexStar hand controller, Advanced VX German-Equatorial mount and tripod, this telescope includes a DSLR-ready visual back compatible with 1.25" accessories, a 6x30 finderscope for easy object identification, a 20mm eyepiece equaling 102x magnification when mounted, and a 1.25" star diagonal for more comfortable viewing when observing objects high above the horizon. This collection of components makes the Advanced VX 8" Schmidt-Cassegrain a full-featured telescope for a wide range of stargazing and astroimaging applications. Box Dimensions (LxWxH) 37.0 x 26.0 x 26.0"